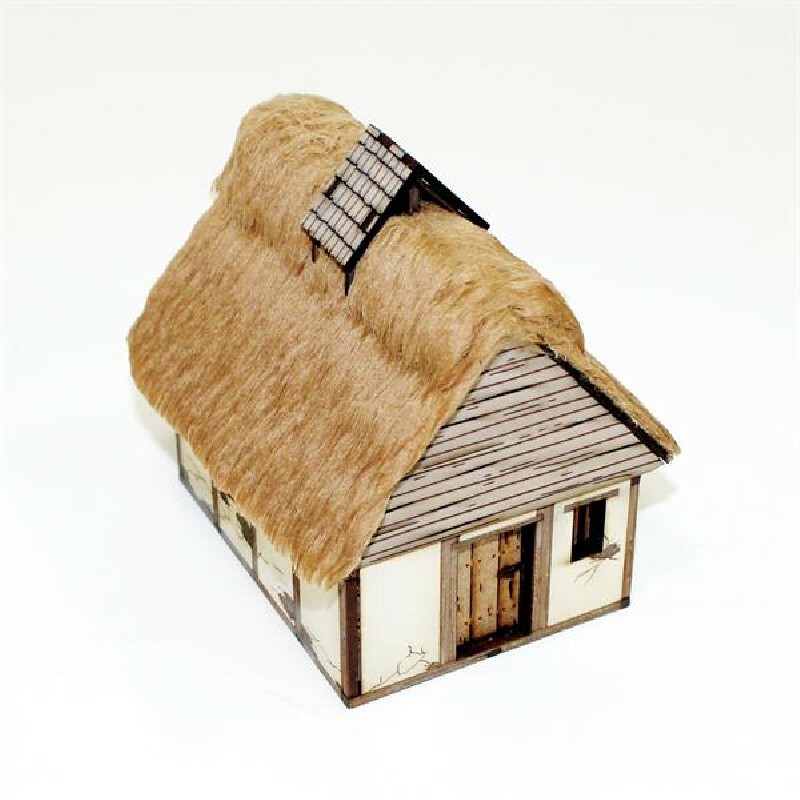 This highly detailed laser cut wargames building joins the growing range of 4Ground Dark Age Saga buildings. This is typical of many hovels in the burghs (walled towns) of Danelaw England during the Early Middle Ages; though a few of these buildings would have been found in the 15th century. It is highly detailed and even has a smoke-hood option to cover the smoke hole from rain! Also included is the door, window frame and central fire pit. This laser cut kit is supplied pre-painted with 4Ground base paints. Also included is the thatch fabric for the roof!